Tensions are rising at migrant reception facilities on islands in the eastern Aegean, and erupted into a riot at the Moria facility on Lesvos late on Wednesday night, amid continued delays in the processing of asylum applications and the slow-moving transfer of migrants to the mainland. The riot at the Moria facility on Wednesday night broke out after around 150 people started to protest over their continued detention and set fire to garbage dumpsters. Police were sent into the camp to restore order and eight officers and two migrants were injured in the scuffles that ensued. 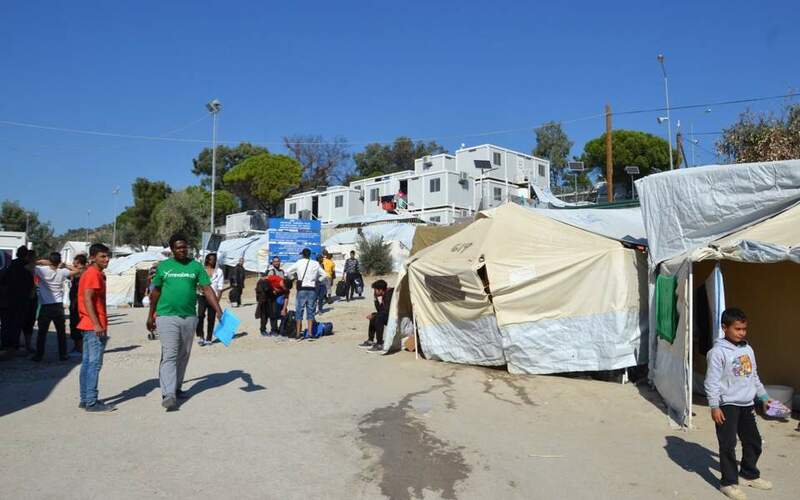 In the last few days, three refugees at the Moria facility have threatened to commit suicide. One was hospitalized after suffering a shock while climbing up an electricity pylon. In the wake of Wednesday’s riot, police conducted an inspection of the Moria camp on Thursday, checking for makeshift weapons that could be used in any future unrest. Meanwhile, authorities established that five migrants had had their appeals against the rejection of their asylum claims rebuffed and therefore should have been deported. Another 25 had had their initial appeals rejected but had not visited the asylum service to collect the official notifications. And 130 migrants were found to belong to vulnerable groups and therefore should have been transferred to the mainland. The slow pace at which asylum applications are processed has left hundreds of migrants cooped up for months awaiting news of their fate. And a recent uptick in arrivals from Turkey is putting a further strain on overcrowded camps. A total of 855 arrived in the past week.